Sign up and receive Property Email Alerts of Houses for sale in Waterkloof Glen, Pretoria East. Every day is a holiday in this delightful Waterkloof Glen home, tucked away in a pan-handle in the heart of Constantia Glen Security Village. Space, privacy and good security are a few of the impressive features this lovely property has to offer. A warm, welcoming front entrance greets you on entering this superb home with a spectacular view over the lush garden and sparkling pool. The spacious living areas with a built in pub leads to the neatly paved patio and lapa with space for children to play. The study is perfectly situated at the main entrance of the home. The property offers 3 spacious bedrooms in one wing of the house, 2 bathrooms of which the main bedroom is en suite and consists of a corner bath, shower and his and hers basins. The main bedroom is spacious, with walk in cupboards and plenty of space for clothes and shoes. The 4th bedroom is impressively spacious with an en suite bathroom, ideally situated for guests or an older child. The property also offers an enormous loft with space for a pool table and a games area for children to play. Adjacent to the kitchen is the dining room that leads to the undercover patio with a built in braai and lounge area, private and secure for the long lazy afternoons with family and friends. The 3rd living area has a built in fire place with its own patio overlooking the garden, pool and distant views. The farm size kitchen has wooden cupboards, a spacious breakfast nook for the whole family to enjoy breakfast together, a walk in pantry and a separate laundry. A separate cottage is located in the garden and hosts a living area, a small kitchen and a double sized bedroom and bathroom. Good rental income possibility or ideal for older children or parents to live in. Other features include a large double garage, a carport, plenty of parking space, a store room, Wendy house, newly tiled staff quarters with a kitchenette, toilet and shower, an irrigation system with a timer and good security features. 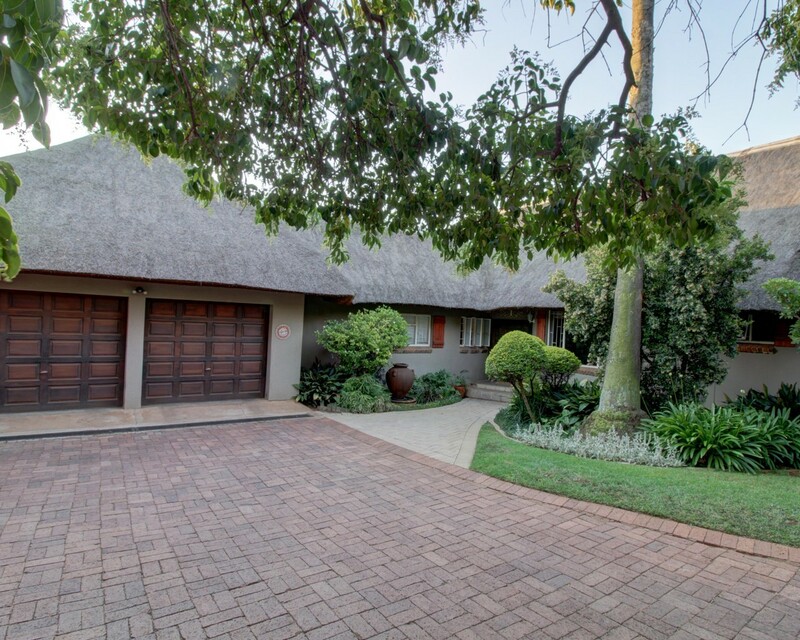 This home is very well situated with quick access to highways, sought-after schools, Kloof Hospital, Menlyn Maine and various other amenities. Please call me to view this welcoming and heart-warming home!! Sign-up and receive Property Email Alerts of Houses for sale in Waterkloof Glen, Pretoria East.